Here’s our newest round-up of the featured startups on our site this week. If you have startup tips or story suggestions, feel free to email us or tell us about your startup on this form. Any juicy tech news tips go here. Enjoy this week’s list! Whizmeal is a Singapore startup founded by a former school cafeteria operator, who believes it has a solution to improve the nutrition that kids receive out of their daily food intake. Through their website, parents can plan and order healthy food for their kids monthly, and also revamping the way canteen operations are being run in Singapore. Pomelo Fashion is an e-commerce startup based in Bangkok which focuses on high-street fashions from Tokyo, Hong Kong, Seoul, and makes it available for Thai people. The startup likes to think of itself as the Topshop of Southeast Asia. Ollo Mobile is a Brisbane-based startup maker of wearable devices that connect seniors. It helps to track activities, detect falls, knows when they leave a safe path, and discover illnesses early. In short, it is a sweet combination of fitness monitor, location tracker, and a minimalist phone for our loved ones. Founded by Founded Indian serial entrepreneur Vinay Bharathwaj, Snapchat-like app Candidly lets users share photos, doodle on them, and send voice messages or brief video clips. If you wish, these shared tidbits can self-destruct after just 10 seconds. The startup has recently received seed funding to help it grow. Launched in September this year, Selalu Ada, is a new e-payment app for the Indonesian market which taps into the huge market for prepaid mobile credit top-ups. Medifund is a crowdfunding platform which aims to address the shortage of doctors in the Philippines and Asia, helping medical students pursue their education. LoveByte is a Singapore-based popular mobile messaging app for couples. We sat down with the founder for an interview as part of our female entrepreneurship series. Based in India’s New Delhi, ClinchPad is a simple customer relation management (CRM) web dashboard for tracking business leads that makes makes it more straight-forward by keeping things easy on the eye. Launched less than a month ago, 500Trends is a brand new online social commerce marketplace for users to buy clothes and accessories. Membership to this site is by invite only, but the number of users and invite requests is growing fast as members get some kind of perks or credits when they invite others to join up. Panel discussion: What are the challenges for Taiwanese startups today? We have just concluded our Startup Asia Jakarta 2013 Conference this past week. Click here to see all event stories! 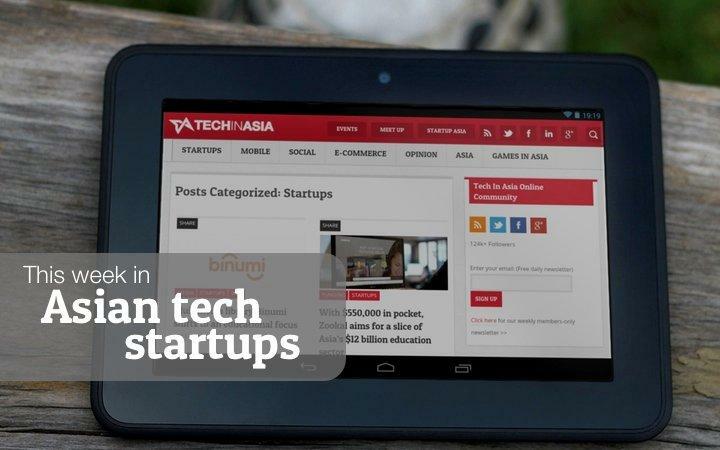 The post 19 startups in Asia that caught our eye appeared first on Tech in Asia.